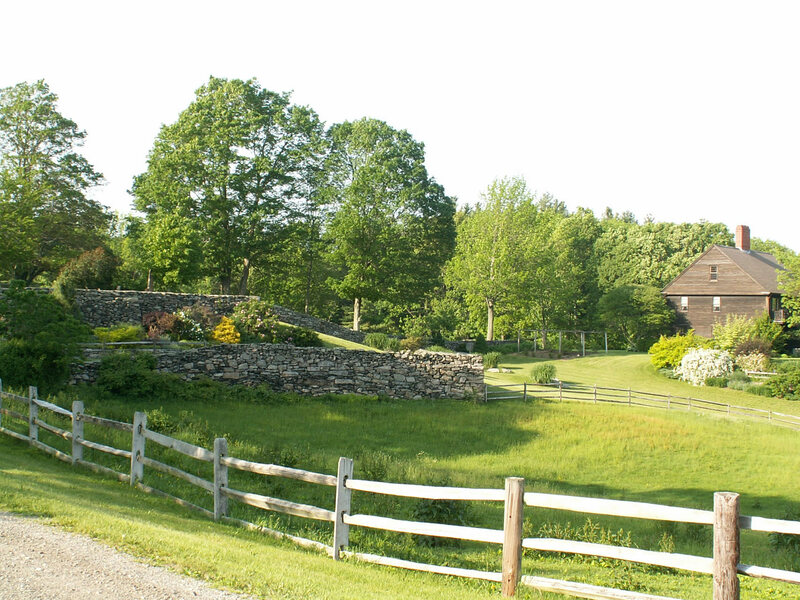 Join us for a 20-minute tour highlighting one aspect of the Old Manse's history. Tour topics include Emerson and Transcendentalism, The Hawthornes, The Patriot Preacher, Sarah Alden Bradford Ripley, and the Attic of the Old Manse. These tours are a great way to have a shorter visit to the Old Manse or to gain more in-depth knowledge about a topic. These tours are also easy to combine with the longer Home to Two Revolutions Tour or the Creative Lives Tour. Offered on the half-hour; first tour begins at 12:30pm, last tour begins at 3:30pm. Meet the minister who sparked a revolution, his grandson that inspired the transcendental movement, and artists, musicians, and scientists who all called the Old Manse home during this house tour. From the American Revolution of 1775 through the literary revolution of the mid-19th century, you'll discover why the Old Manse is home is home to revolutions in both thought and deed that helped to define the American nation. Tours offered on the hour; first tour begins at 12pm ; last tour begins at 3PM. Building Positive Strength-Based Teams Children thrive in environments where the adults model positive relationships and create communities based on trust and respect. In this workshop we will examine the impact that toxic stress in a classroom has on young children’s brain development and social-emotional skills. We will explore strategies for enhancing your professional skills to help you communicate effectively with your co-workers, as well as techniques to reduce gossip. We will use the NAEYC Code of Ethical Conduct as a guide to create strength-based team relationships and a positive environment for children and adults. About our Presenter: Susan MacDonald Founder of Inspiring New Perspectives, and author of the award-winning book Inspiring Early Childhood Leadership: Eight Strategies to Ignite Passion and Transform Program Quality, Susan has been a director of a Reggio inspired preschool program, adjunct faculty at Lesley University, Wheelock College and Southern New Hampshire University, and Commonwealth of MA licensing supervisor. She is the current president of Boston Area Reggio Inspired Network and past vice president of the MassAEYC. Are you aware of how deeply white privilege harms our culture? Understanding the effects of white privilege and racism on the way we view the world, including its impact within the school community, is one of the most important issues in our country today. Debby Irving, the author of “Waking Up White” will help us explore the roots of our varied perspectives and to dismantle old myths regarding race, identity and culture. Only then can we truly begin the path towards racial healing and compassion. Reviewers have described Debby’s book "Waking up White” as a “brutally honest and unflinching exploration of race and personal identity” and “a must read for anyone exploring issues of racism, power, privilege, and leadership.” Learn how we can collectively wake up and take effective action. Debby Irving’s talk is free to the school community and the public at large. Although walk-ins are welcome, pre-registration is encouraged. At the time of registration, you may also order Debby’s book, “Waking Up White,” for the highly discounted price of only $10! Debby will be available to sign copies of the book at the program. Book order deadline extended to Friday, April 19. 21+ event id required $20 at the door. Come join us for a dope show enjoy the bar with good prices and quality drinks as dj dizzy is spinning back the best of the new and old school hip hop with opening acts by M-Ezy, Dizzy Bandit, Odama, Lomel, Malayna, Blessyd, Ace Spitz, J.Tru and Keyluh. Don't miss this night full of culture and entertainment. Winner of the Tony “Triple Crown” for Best Musical, Best Score and Best Book, Avenue Q is part flesh, part felt and packed with heart. The laugh-out-loud musical tells the timeless story of a recent college grad named Princeton, who moves into a shabby New York apartment all the way out on Avenue Q. He soon discovers that, although the residents seem nice, this is not your ordinary neighborhood. Together, Princeton and his new-found friends struggle to find jobs, dates and their ever-elusive purpose in life. Catch this endlessly entertaining (and decidedly adult) musical at The Umbrella Annex in Concord. Join Musketiquid Arts and Environment for the celebration of Earth Day at the Old Manse! Events will include the river ceremony, demonstrations of birds of prey, dance, art, and fun for kids and families. The day will conclude by launching earth floats down the river with wishes for nature. During the event, the Old Manse will be open for tours.